On Sunday, 1st July, Wincanton Youth Theatre performed their First World War commemorative event, A Long Way to Tipperary. 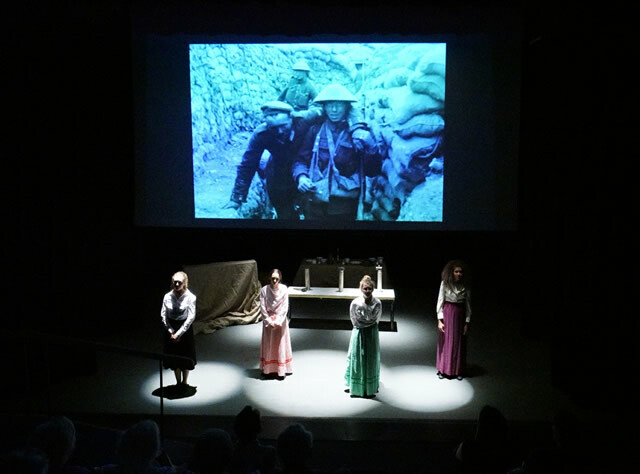 The show included drama set in the trenches from Journey’s End, and both Telegram and Canary Girls portrayed life on the home front. Between these powerful dramas were specially arranged songs from the period, including Keep the Home Fires Burning, A Long Way to Tipperary, and Pack Up Your Troubles. Also featuring in the line-up was some comedy from the Blackadder Goes Forth series. 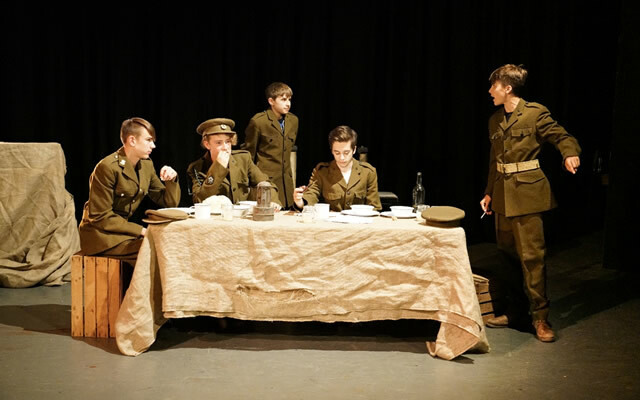 A Long Way to Tipperary was performed at the Fitzjames Theatre at King’s School Bruton. 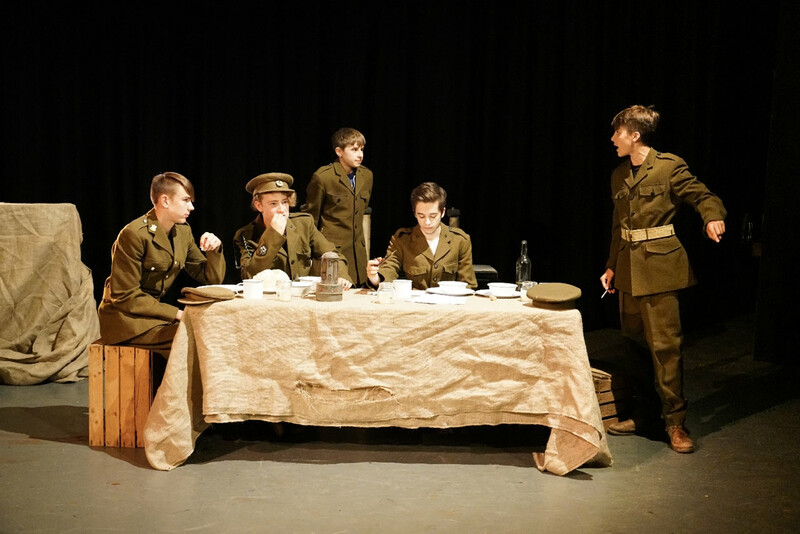 The school made their wonderful facilities available to the Youth Theatre for free, and provided help with costumes and props, and assistance with the complex tech in the booth behind the audience. After the two performances, the group donated £213.64 to the Royal British Legion’s Poppy Appeal from ticket sales and collection tins. Anthony Goddard, Chairman of the Wincanton Branch of the Royal British Legion, pictured centre, was present to receive the money. To his left, Will Stainton, the theatre manager, represented King’s School. 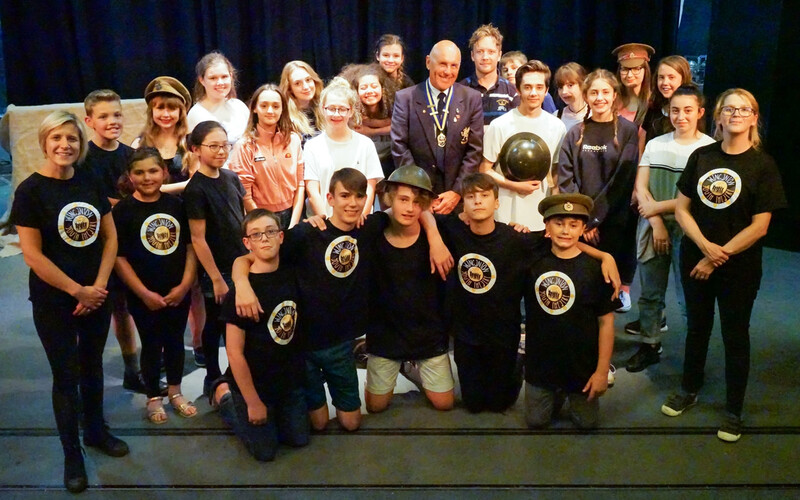 Pictured around the two are the cast and crew from Wincanton Youth Theatre.